Germany is Europe's most industrialized and populous country. It is one of the most influential European nations culturally, and one of the world's main economic powers. Known around the world for its precision engineering and high-tech products, it is equally admired by visitors for its old-world charm and technical prowess. It surprises everyone with its many historical regions and local diversity. Germany conferences will be providing an excellent international forum for sharing knowledge and results in Emerging Technological Innovations in Sciences, Engineering, Technology and Management. 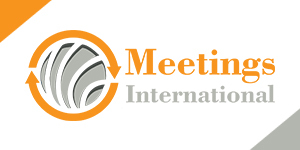 In 2018 Meetings International will be hosting 28 conferences in Germany. Germany is an economic powerhouse boasting the largest economy of Europe, and is in spite of its relatively small population the second largest country of the world in terms of exports. The most important sectors of Germany’s economy in are industry (25.9 %), public administration, defense, education, human health and social work activities (18.2 %) and wholesale and retail trade, transport, accommodation and food service activities (15.8 %). Germany’s main export partners are France, USA and UK while its main import partners are the Netherlands, France and China. The total German contribution to the EU budget has been estimated at € 24.283 billion. The money paid into the EU budget by Germany helps fund programs and projects in all European countries some which include building roads, subsidizing researchers and protecting the environment. Germany is home to tens of thousands of businesses ranging from small sole proprietorships to large conglomerates. In fact, a large part of the reason for the prominence of Germany’s economy on the world stage can be linked to the small and medium sized businesses. Estimates vary according to sources but consensus has it that there are about 3.7 million Mittelstand firms in the country, producing anywhere from 35 to 45 percent of the gross national product, creating up to 50 to 70 percent of the jobs in Germany and providing over 80 percent of apprenticeships and other job training opportunities. Mittelstand firms tend to be concentrated in industry, commerce, the skilled trades, professions, and such service industries as technology, construction, transport, retailing and the hotel and restaurant business. Underscoring Germany’s growing importance in international education is the fact that it is not only a top destination for foreign students, but also one of the largest source countries for international students headed abroad. Overall, the number of Germans studying abroad increased by almost 400 percent in the two decades following the country’s 1990 reunification. In 2013, Germany was the third largest sending country after China and India with 119,123 outbound students. The universities in Germany are open to students from all countries. Currently in Germany there are about two million enrolled students, 250,000 of them are international students. With over 10 % international students Germany is the world’s favorite place to study. Research and Development in Germany has a superb reputation all over the world. It is a research community shaped by universities, research institutions and extensive research by industry. The research covers a broad range of different fields with the special focus on future-oriented topics. Germany is one of the countries worldwide that invest the most in research and development. Almost 89 billion euros was the massive sum invested in research and development (R&D) in Germany in 2015. Higher education institutions are further important players in German research. They spend more than 15 billion euros to this end, conducting research across the entire spectrum of science. Basic research plays as important a role as applications-oriented research. This also applies to collaborative projects with companies and research institutes. Germany is the largest EU country located at the heart of the continent and is therefore an important transport hub for north/south and east/west routes. Major cities in Germany have an integrated transport system that includes a fast rail network trams and in many cases an underground system. Germany’s nationwide rail network features tracks of a total of 36,000 km in length. Over 100 international airlines fly in and out of Germany. The global network of routes connects the 18 international airports in Germany with over 800 destinations in the world. The largest airports are in Frankfurt/Main, Munich and Düsseldorf. All airports boast prime connections to the local and regional transport network. Germans have been among the most frequent recipients of global recognitions. Some of these stalwarts include Stefan W. Hell for Chemistry, Thomas C. Südhof for Physiology or Medicine, Peter Grünberg for Physics, Harald zur Hausen for Physiology or Medicine, Peter Grünberg for Physics, Gerhard Ertl for Chemistry, Theodor W. Hänsch for Physics, Wolfgang Ketterle for Physics, Johann Deisenhofer for Chemistry and Manfred Eigen for Chemistry. Germany is home to some of Europe’s most beautiful scenery, fairytale castles, important historic sites and lively party scenes. The largest city in Germany’s federal state of Saxony, Leipzig is known for its vibrant arts and culture. One of Europe’s largest town squares, the Augustusplatz, is situated at the central campus Germany’s second-oldest university. Located in the Baltic Sea, Rugen Island is the largest island in Germany. Charming villas, romantic seaside resorts and beautiful beaches all draw tourists to Rugen Island. The region’s most famous natural attraction is the Lorelei, the deepest and most narrow section of the Rhine Gorge. Cologne is one of the most popular places to visit in Germany. The city offers a vibrant array of attractions, buzzing nightlife and a stellar arts and culture scene. Dresden offers a number of historic sites like the stunning Frauenkirche cathedral. The city also boasts many cultural institutions of which the Semper Opera is most widely esteemed. With historic treasures like the medieval Old Bridge, the Heidelberg Castle, the Church of the Holy Spirit and the Knight St. George House, it is no wonder that Heidelberg is a popular tourist attraction. The most photographed building in Germany, Neuschwanstein Castle, is also one of Europe’s most popular tourist destinations. Best known as the origin of the world famous Oktoberfest, Munich is one of the best places to visit in Germany with a great culture scene. Berlin today is now a vast, unified city diverse in ethnic groups and abundant in sightseeing attractions, culture and nightlife. Many tourists are drawn to Berlin’s famous historic structures, which include the Brandenburg Gate and the Reichstag. Attend Meetings International conferences in Germany and get an opportunity to explore its attractions.